It's important to understand how customers interact with your digital kiosks. That's why we implemented a Google Analytics integration. It's free to use and it allows you to track screen visits and customer sessions. Follow the steps below to create a new account for your Facelet kiosks. 1 . Go to Google Analytics. 3. 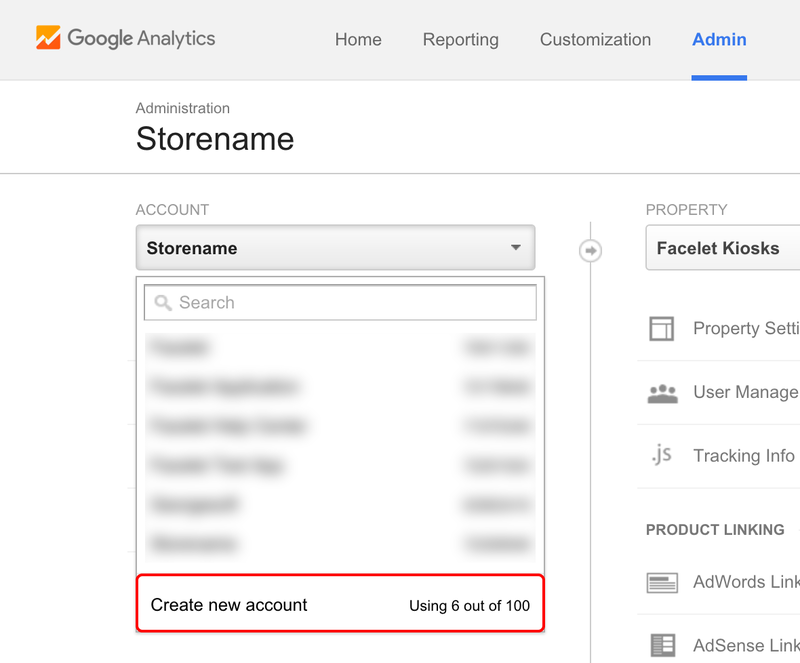 Create a new Google Analytics account. 4. Choose to track Mobile App. Enter Account Name and set an application name. 5. Scroll to the bottom of the page and press Get Tracking ID. You will see your Tracking ID on the next screen. 7. 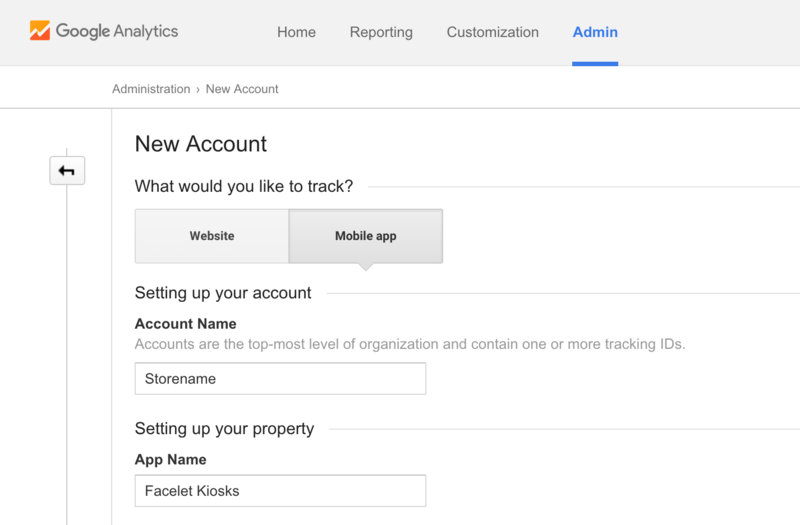 Click Set Up and paste your Tracking ID into Your Google Analytics ID field.